Egypt’s Coptic Orthodox Church has said “unrecognised monasteries” must regularise their status “spiritually, monastically and financially”, in the latest in a series of decrees on monastic life that come in the wake of the murder of an abbot inside a monastery last month. In an official statement on Thursday, the church’s monastic affairs committee said that unrecognised monasteries that respond to the church's call will be “rebuilt divinely and spiritually” within the legitimate method of monasticism. 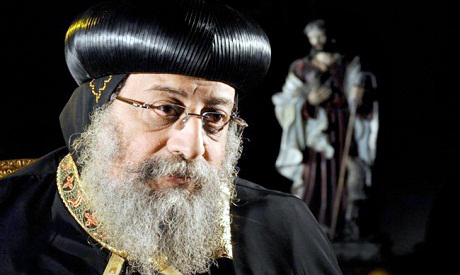 The statement said that unrecognised monasteries should first be registered under the name of the Coptic Orthodox patriarch, and will then be subordinate to whoever is sent by Pope Tawadros II for spiritual, financial, and managerial supervision of the monastery. “There will be a return to the rules of monasticism in establishing a new monastery,” the statement stipulated. The church stressed that those who refused to answer their call demonstrate a disobedience to the church and have intentions that do not relate to monasticism, and risk being defrocked. The statement comes a few days after two monks were detained pending investigations into their alleged involvement in the murder of Bishop Epiphanius, the abbot of Abu Maqar monastery in Wadi El-Natroun. One of the monks, now defrocked, has been linked to an unrecognised monastery, which several media reports attributed as one of the motives behind the alleged killing. Following the death of the bishop, the Holy Synod issued new decrees prohibiting monks from using social media, appearing on media outlets, and building non-sanctioned places of worship.